Accepta 2505 is a high performance broad spectrum disinfectant and biocide based on isothiazolinones. It has been developed for use in industrial water treatment applications. Accepta 2505 is effective against Legionella bacteria, is low foaming and can be used as a secondary biocide in systems being treated with halogen. Accepta 2505 is supported under the Biocidal Products Directive (BPD). Dose Accepta 2505 to give 200 ppm (200 g per 1000 L). It can be dosed by hand or through automatic dosing equipment. 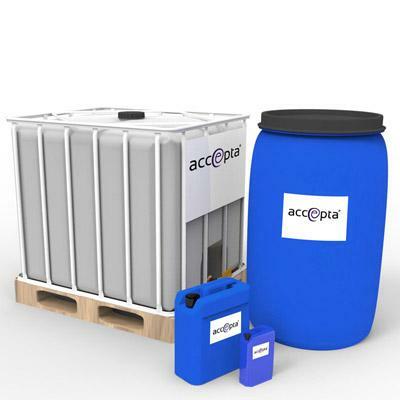 Accepta 2505 is compatible with most cooling water treatment products. Do not mix neat products.